Commercial cards are commercial credit cards or commercial debit cards that are given by businesses to their employees so that the workers can buy supplies on their employers’ behalf. The cards are often co-branded with specific retailers or fuel stations, limiting the ability of workers to make purchases at those stores only. Many startup companies rely on commercial credit cards to help them pay for their operating expenses. According to the Mercator Advisory Group, the volume of business credit card transactions is anticipated to grow from $493 billion in 2017 to $686 billion in 2022. How do commercial cards work? Commercial cards for businesses have credit card numbers and may be used to make payments or to purchase products. Companies can give cards to their employees so that they can avoid reimbursement processes and having to approve every small purchase that is needed. The employees can take the cards and use them to buy the items that their companies need. For example, a worker who has a commercial gas card that is branded to be used at a specific chain of gas stations can buy gas at one of those stations but cannot use the card at other stores. What are the types of commercial cards? There are different types of cards for businesses that are in popular use. Commercial credit cards require businesses and business owners to submit to credit checks. The commercial cards are linked to lines of credit, and the card issuers may charge high rates of interest rates or annual fees. Commercial debit cards are not credit cards and are linked to a business’s own account rather than to a line of credit. When employees make purchases, the purchase prices are subtracted from the account balances rather than adding to the company’s debt. Finally, some business cards are prepaid cards. These commercial cards allow businesses to load money onto the cards themselves. The employees can then spend up to the card balance. What is the current state of debit card and credit card use? More people and businesses are turning to cashless payment systems, including the use of debit and credit cards. In 2016, there were an estimated 680 million debit cards in circulation in the U.S. Among consumers, 77 percent reported having debit cards and 82 percent reported having credit cards. In 2015, 13.9 million business credit cards were in circulation and accounted for $430 billion in spending, which was one dollar out of every six dollars that were spent with credit cards. Prepaid cards have also grown increasingly popular. Between 2006 and 2012, the number of transactions that were completed with prepaid cards grew by 19 percent each year. How can a commercial card make the work in accounting and other departments easier, safer and more accurate? Some commercial cards offer features that are helpful to small businesses because they allow the automation of different accounting and tracking functions. Some commercial cards for businesses are able to upload data into the company’s accounting software as the purchases are made.This can make tracking expenses more accurate and error-free. Uploading expenses automatically can also help to make it easier to track the spending across departments and to let individual departments get a better picture of how they are performing. Some cards also allow business owners to limit the types of items that can be purchased, when the cards can be used and how much can be spent per day, week or month. Business debit cards are not credit cards, so no credit check is performed. Instead of being linked to lines of credit, debit cards are linked to the company’s account. When the cards are used, the money that is spent is subtracted from the company’s money instead of adding to the business’s debt. Debit cards for businesses also do not charge interest. Some business debit cards also allow companies to restrict how, when and where the commercial cards can be used and help to control spending. These added features can help businesses to get their spending under control while also helping to prevent fraud. Examples of how business debit cards can help with employee expenses? Bento for Business Visa debit cards can help businesses to manage their expenses by limiting what their employees can use their cards to buy. For example, if your business has a fleet of vehicles that an employee named John has to drive, you can give him a card that is limited to $50 per day in fuel. You can give your office manager, Sally, a card that allows her to order office supplies from specific vendors. You can limit that card to whatever amount that you choose. This can help you to make certain that the spending at your company stays within your budgeted amounts for the different categories of expenses that your business regularly has. How can commercial cards help to prevent unauthorized purchases? Your business debit cards can also help you to prevent fraud from unauthorized purchases. When you limit the categories of expenses that each card can be used for, your employees cannot purchase anything other than what you have authorized with their commercial cards. If John, your driver, tries to use his fuel-only card to buy snacks inside of the gas station, the purchase will be denied at the point of sale. You will be able to log in to your dashboard at any time to review how your cards are being used and how much money remains on each card. When you review John’s card, you will see that he attempted to make an unauthorized purchase. You can then turn his card off instantly by clicking a button and handle his conduct as you see fit. Who traditionally uses a commercial card and why? 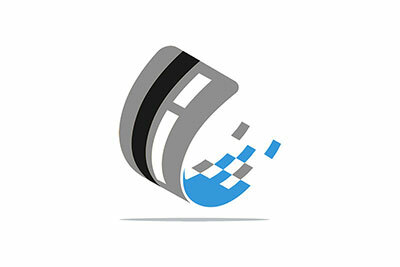 Traditionally, corporate credit cards are used by mid- to large-sized businesses to help them to manage their expenses. The commercial cards might be company credit cards or individual payment cards. In many cases, companies give employees corporate credit cards to use when they travel for business purposes. The employees are able to charge their travel-related expenses on the cards and might be required to submit expense reports and receipts. If they have made any purchases for themselves, they might be required to pay the card issuer directly. Who can benefit the most from a commercial debit card? Business debit cards may benefit businesses of all sizes, but they may be particularly beneficial for small- and mid-sized businesses. Unlike corporate credit cards, businesses and their owners do not have to submit to credit checks to obtain business debit cards. When employees use their commercial cards, the purchase prices are subtracted from your account balance and will not add to your company’s debt. The spending controls and expense management features also help small businesses by giving them a tighter rein on their expenses. Expense reimbursement processes can cause a couple of different problems for businesses. When employees are expected to spend their own money to purchase items for their employers, they may feel resentful about having to wait for days or weeks to receive their reimbursements. Reimbursements are also targets for fraud. Employees may submit false reimbursement sheets, claiming that personal expenses were purchases that they made on behalf of the business. Finally, processing reimbursement forms takes time and money that could be better devoted to other business tasks. It is important for businesses to have expense policies in place. The best practices for expense policies include making certain that your expectations are clearly outlined. You should list the types of purchases that your employees are allowed to make. Your policy should also list the types of purchases that are not authorized. You should make certain that every employee receives a copy of your expense policy. You should train your employees on the policy and give them refreshers from time to time. Implementing these practices can let your employees know what they can and cannot buy, and it can also help them to recognize when other employees are abusing the expense policy so that you can be alerted. An example of how your debit cards might help you to solve spending problems includes an issue when an employee tries to purchase something that you have not authorized. You might choose to log into your dashboard during the day to review how your money is being spent. When you do, imagine that you see that Sally has tried to use her card to eat at a restaurant instead of to buy office supplies. When you see this attempt to make an unauthorized purchase, you can tap or click the button to turn off Sally’s commercial debit card on your laptop or mobile device instantly. Sally will no longer be able to use the card that you have given her. If you decide to end her employment, your ability to turn her card off means that you will not have to worry about retrieving the card from her. Keeping control of your business’s expenses means that you should be able to control how much each employee can spend, where your employees can spend it, when your money can be spent, and what your employees can use their cards to buy. Bento for Business Visa debit cards offer you the ability to do all of these things. You can decide how much money that you want to place on each card and then set daily spending limits on it. You can also choose to turn the cards off whenever your employees are not working. You can choose to limit certain cards to only being able to be used to make purchases from a specific vendor. Finally, you can limit the items that can be purchased with each commercial debit card. 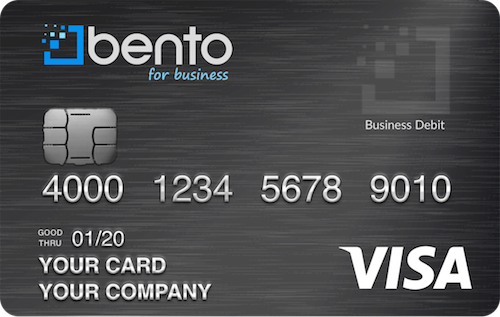 Bento for Business Visa debit cards for businesses can help companies to manage their expenses more effectively. The Bento cards are among the best solutions for businesses because of the robust expense management and spending control features. The cards are Visas so that they can be used at most businesses and suppliers. 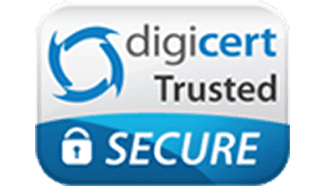 Your deposits will be protected by FDIC insurance up to $250,000 and SSL-encryption technology. Bento offers a free 60-day trial, to get started or to learn more call us at 866.220.8455.